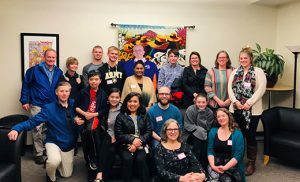 Youth and young adults for the NeXt Level Project at Christ Our Light, and their parents, are pictured with the Center for FaithJustice staff and parish staff. 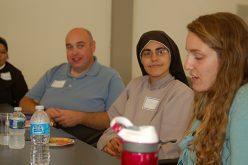 Two parish communities and their youth ministries in the Diocese of Camden were selected as pilot parishes for a new initiative across New Jersey designed to strengthen young Catholics in their faith and engage them deeper in their own parishes’ mission and ministries. 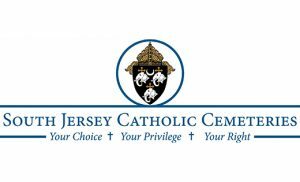 Christ Our Light in Cherry Hill and Saint Katharine Drexel in Egg Harbor Township will work with the Center for FaithJustice (CFJ) during the next year. 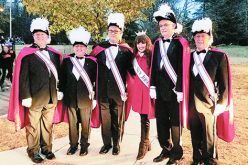 Other New Jersey parishes involved are Saint Bernard of Clairvaux, Bridgewater; Saint Augustine of Canterbury, Kendall Park; Holy Family Parish, New Brunswick; and Most Holy Name of Jesus, Perth Amboy. 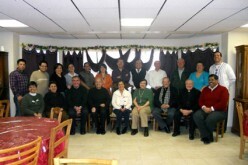 CFJ, which creates leadership programs for Catholic youth in service and social justice education, received a grant from the Lilly Endowment, Inc. for their “NeXt Level: The WorX Continues,” which will train and empower the young church in New Jersey to take ownership of their faith, and design action plans built on Catholic social teaching for their parish and communities. 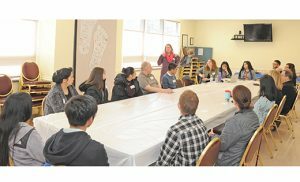 At a “Breaking Bread Dinner” at Saint Katharine Drexel Parish, Egg Harbor Township, on March 24, young people learn about NeXt Level, a new program designed to institute youth-led campaigns rooted in service and justice. Saint Katharine Drexel and Christ Our Light, Cherry Hill, are among the six New Jersey parishes that will pilot the program. A kick-off “Breaking Bread Dinner” between parish youth and their adult leaders, parish staff and the CFJ support team took place last week in Cherry Hill and Egg Harbor Township. Next up for the youth: a May retreat and a week-long service immersion project in June, followed by the creation and implementation of individual parish projects, conceived by youth and parish ministry leaders with the ongoing support of CFJ. 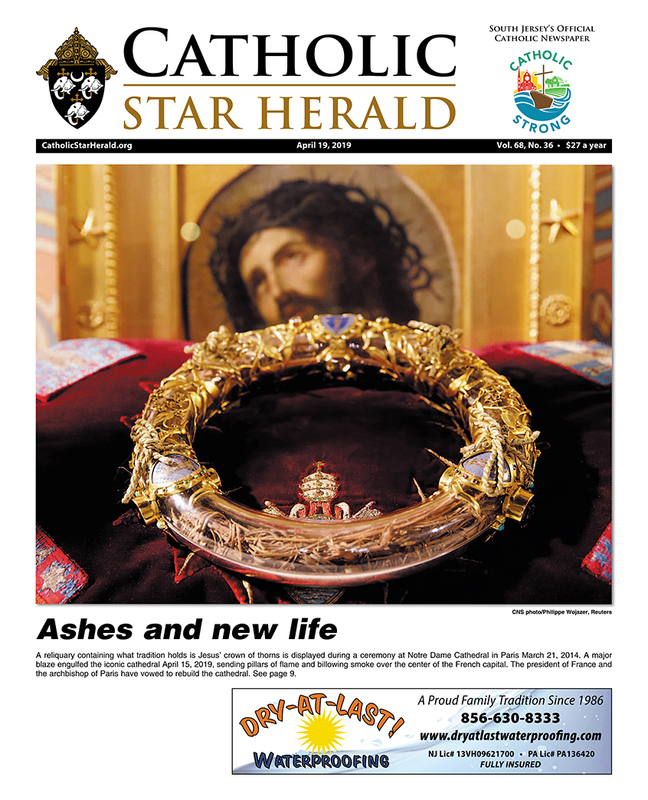 “NeXt Level will bring nourishment to the Saint Katharine Drexel youth ministry,” believes Millet LoCosale, coordinator of Youth and Young Adult Ministry for the Egg Harbor Township community. Four of her youth, along with two adult mentors, will work with CFJ during the next year. “NeXt Level will allow us to experiment, explore, share findings and influence the future of Catholic youth ministry and intergenerational religious education,” said Stephanie J. Peddicord, president, Center for Faith Justice. The initiative is expected to expand its scope in 2020. The total Lilly Grant is for five years.